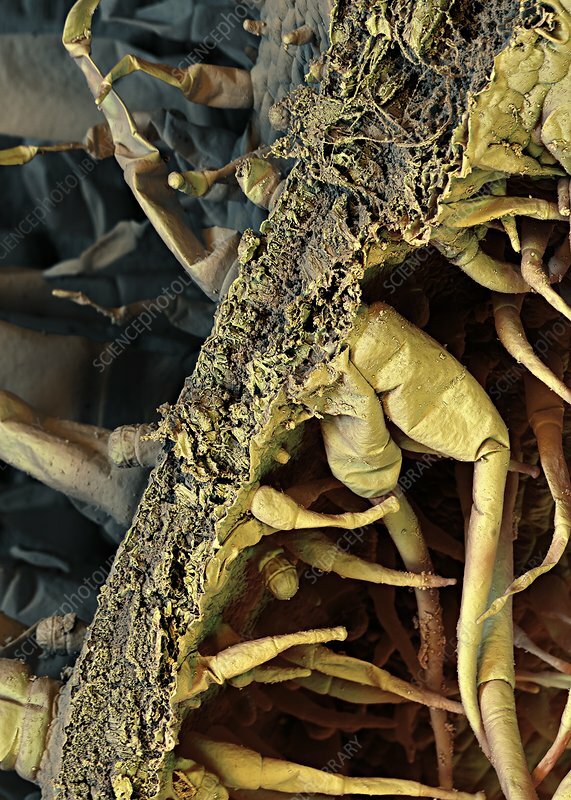 Tobacco leaf, coloured scanning electron micrograph (SEM). This leaf has been freeze-fractured to show the internal structure. On each side of the leaf are trichomes, specialised structures that can be glandular in nature, defend against predators, or help reduce water loss. This is a sample of Virigina tobacco, a variety of tobacco from the plant Nicotiana tabacum.